Electrical interruptions at home can extend from minutes to months, and many foods spoil rapidly without refrigeration. When power is knocked out in your home, what’s the best way to handle refrigerated or frozen foods? Electrical interruptions are unpredictable. Causes include equipment failure, severe weather, damage from wildlife and power-line scrapes with tree limbs, among other things. Disruptions can extend from minutes to months, and many foods spoil rapidly without refrigeration. That doesn’t mean you can’t ease food losses. Buy a small generator or portable solar panels to provide temporary power. Separate your disaster planning into three steps: preparation, measures to take during an outage, and things to do once power has been restored. 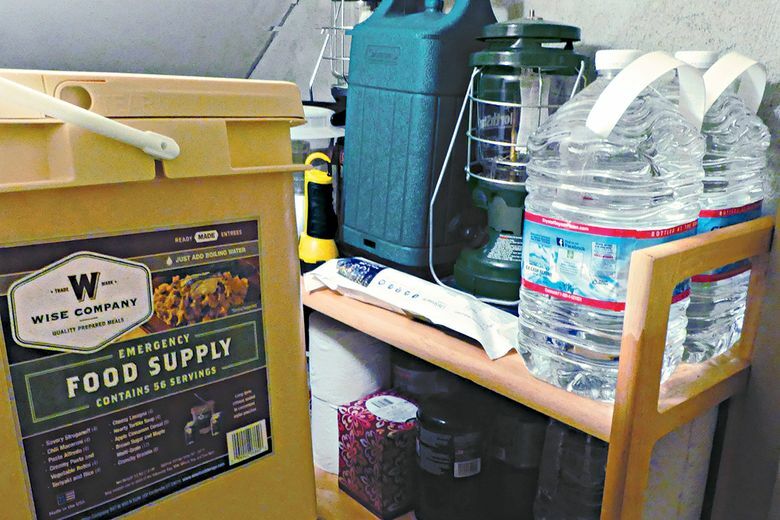 Be ready for power outages by keeping freezers full, freezing water containers to fill in the empty spaces. Those containers of water can also be used for drinking if needed, McGarry says. “Keep coolers on hand and buy freezer packs, and keep them frozen for use in the coolers,” she says. As for food, keep a supply of dried foods (beef jerky, crackers, dried fruit, powdered milk, cereal), canned foods (make sure to have a can opener) and high-energy foods (granola bars, protein bars). “Rotate the inventory every six months,” she says. “Keep an appliance thermometer in the refrigerator and freezer at all times,” McGarry says. “That will let you know if the food is being stored at the right temperatures.” Refrigerator temperatures should be at 40 degrees Fahrenheit or below, and freezer temperatures at 0 or below, she says. A refrigerator will keep food cold for about four hours if it’s unopened. If you move items into the freezer, they will last 24 to 28 hours, McGarry says. Quickly check food temperature and condition before it refreezes, otherwise you might not be able to determine its safety, Snider says. “You may safely refreeze most foods if they still contain ice crystals or if they have been kept cold (40 degrees or less) and have been thawed no more than 24 to 48 hours,” Snider says. Do not rely on appearance or odor, and never taste food to determine its safety, McGarry says. “Some foods may look and smell fine but if they have been warm too long, they may contain food poisoning bacteria that could make you sick,” she says.